Did you know that today, August 9th is National Rice Pudding Day? Well.. since I don't live in the US and Australia doesn't have cool food holidays, I'm proudly proclaiming that it is International Rice Pudding Day! Why? 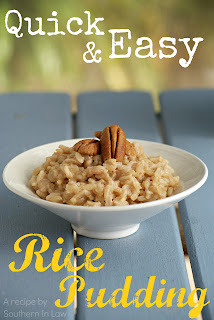 Because everyone should enjoy rice pudding! 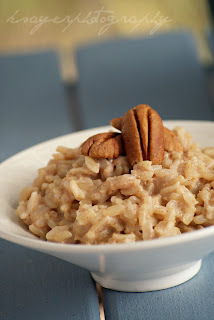 Today, in celebration of this marvelous day, I wanted to share with you my Quick and Easy Rice Pudding Recipe. It's made on the stovetop and uses leftover rice, saving you tonnes of cooking time! I love to make this rice pudding for breakfast with leftover brown rice and add in dried fruit, nuts, banana, apple or top it with some nut butter! It's healthy, eggless, gluten free, low fat and low sugar (though you can add as much or as little as you like) and can also be made Vegan if you choose a non-dairy milk! To put it simply, rice pudding is a dish made from rice mixed with milk. Other ingredients can be added and it can be made as a sweet or savoury dish. Personally, I like my rice pudding sweet and mine always needs to have cinnamon! 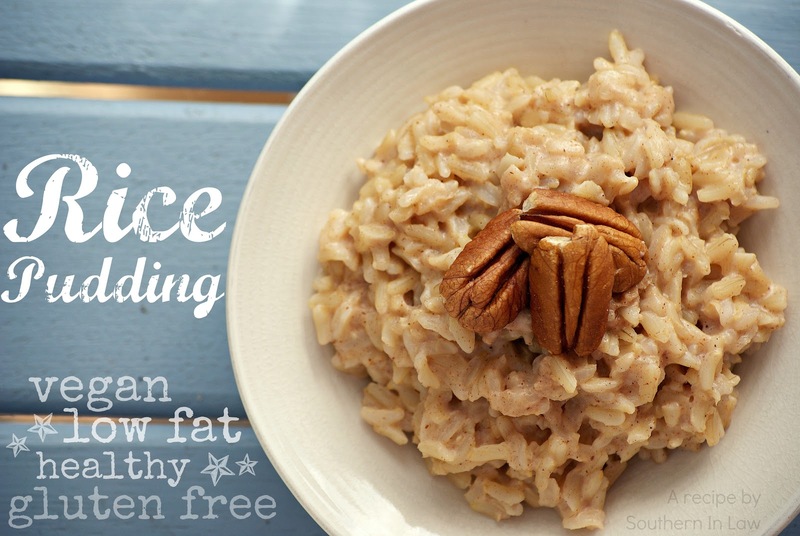 One popular add in for rice pudding is raisins - if you cook them in they plump up and add a delicious flavour! Rice pudding was actually first made in Asia to aid the malnourished, however over thousands of years, thousands of recipes has developed in countries world wide. A traditional English Rice Pudding tends to use milk, sugar and raisins with nutmeg and/or cinnamon. Rice pudding can be baked or made on the stove top with each having a different flavour and consistency. Healthy, low fat, eggless, gluten free and delicious - can be vegan too! In a small non-stick saucepan, add all of the ingredients. Turn the heat to high and bring mixture to the boil. Once the milk has started to bubble and boil, reduce the heat to medium. Cover the saucepan with a lid and leave to simmer, stirring every now and again. Once the milk really starts to reduce, take the lid off and stir frequently so it doesn't stick to the pan. When it reaches your desired consistency, pour the rice pudding out of the saucepan and into a bowl and leave to cool for a few minutes before eating. Note: This rice pudding also tastes amazing cold - in the summer I make up a double batch ahead of time and keep it in the fridge. For the rice:In the picture I used cooked brown rice, however, I have also used white rice, red rice and black rice in the past. Before I went gluten free, I also tried it with cooked barley, so I'm sure it would work with other grains as well. I generally use low fat cows milk or unsweetened almond milk, but the choice is yours! For me it has enough sweetness on it's own, but if I'm feeling like it needs more sweetener I will add in a small amount of maple syrup or cane sugar. Feel free to use any sweetener you like - honey, sugar, date sugar, coconut sugar - the list goes on! Some mornings I just can't be bothered waiting 10-15 minutes for the milk to reduce. On these days, I skip putting the lid on and stir the rice frequently until the milk absorbs. It doesn't make such a creamy consistency but it still tastes delicious. So tell me, are you a rice pudding fan? What do you like to have in yours? Traditionally speaking, I'd have to say cinnamon, raisins and a dash of nutmeg (baked is even better!) - but for breakfast, I love mixing in a mashed banana and topping it with nuts or nut butter or having it with other dried fruit and nuts. My current favourite combination is dates and almond butter! The packs are definitely convenient, but I love making a healthier version at home which I can adapt to add anything I feel like! Hey Ashlee, I'm so glad you liked the recipe! Thanks for taking the time to stop by and leave a comment!